I have been a vivid dreamer all my life. I am fairly certain that during my childhood I even had a few lucid dreams. Lately, the past year, I have been doing a LOT of research into lucid dreaming. I'm reading books about it, internet articles, forums, etc. I find that I am actually regressing. I went from having multiple vivid dreams a week, to almost none. Has anyone experimented in the lucid dreaming world? I'm becoming very discouraged. I've been taking alpha brain before bed and 5-HTP to enhance the dream state and had some luck initially, but lately nothing. I'd love to hear from some other oneironauts. Read my "Raw Honey for Sleep Testimonial" post. What has worked for me is practicing visualization and meditation techniques before bed. I'm also a fan of WILDing (wake induced lucid dreaming). Waking up to take a piss in the middle of the night is generally considered unBP, but I find that waking up then consciously entering a dream to be the easiest way to become lucid. It seems to take me a lot of practice to be able to become fully lucid for any substantial amount of "time". I usually end up practicing becoming more and more lucid, have more vivid dreams, and better dream recall; but then it just gets too weird and I find that I'm fine dreaming and then forgetting the dreams. For me, the various sleep hacks on the forum are unreliable at best. Try some of the various techniques and go from there. One of the best ways to lucid dream is to try and sleep on your back. If you don't normally sleep straight on your back (most don't), a lot of people fall into some crazy sleep paralysis/lucid dreaming states. Good luck! For me it's the timing. I need to be well rested, wake up for an hour to read, and go back to sleep thinking about being lucid. It does not work when I'm catching up on sleep. Nap time works too as long as the nap isn't to catch up on lost sleep. I have tried a galantamine supplement (Lucidimine) and it prolonged the dream quite a bit. But again, the conditions have to be right or it's just a waste of money. I have been thinking about purchasing some Calea Zacatechichi loose tea or a liquid extract. Has anyone had any experience with these products? 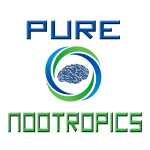 Check out Pure Nootropics for high quality nootropics that have been third party tested. All order come with 30 day money back guarantee. 10% Discount for Bulletproof Members with coupon code "bulletproof10".